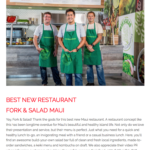 Fork & Salad Named “Best New Restaurant” on Maui! 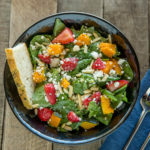 Roasted Kabocha Squash & Strawberry Salad. 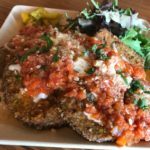 Basil-crusted Kumu Farms eggplant parmigiana special with house-made roasted tomato marinara, melted mozzarella, local green salad and banana peppers, all for just $11.99 during our birthday celebration! Our listing as “Best New Restaurant” on Maui for 2017! 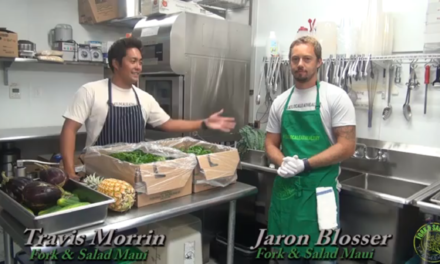 Our dedicated Fork & Salad employees are all smiles with the MauiTime “Best of Maui” edition! To be “new” is to put yourself out there. Take a risk. Make a statement. At Fork & Salad, we’re glad we did, and we’re thankful to know others are glad too. 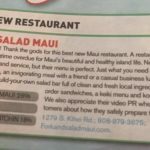 On the official day of our 1st birthday on July 13, 2017, MauiTime unveiled that Fork & Salad won the award for “Best New Restaurant” on the island! 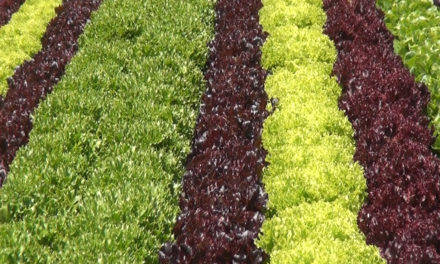 Our whole mission is stated simply in our company slogan, “Eat Local. Eat Healthy.” That’s the basis for everything. 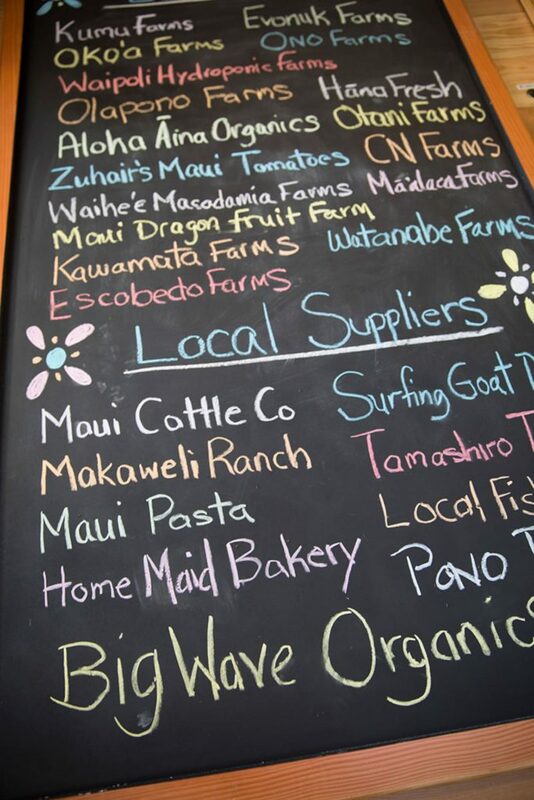 We want our customers to KNOW where their food comes from, who grew it, and that it actually grew here in Hawai’i. The second part of our philosophy is about eating foods that contribute to our overall health and wellness. Hawai’i was recently recognized as the healthiest state in America, so we’re glad this new concept supports those results. Another major part of our mission is to make farm-to-table dining simpler, more convenient and more affordable to enjoy. With our line of more than 50 fresh ingredients, we give you plenty of “local and healthy” to choose from!! As you can tell, we’re very proud of our chef-inspired eatery, along with our fantastic staff that keeps it running efficiently every day. But we’re MOST proud of the 25 farms and vendors we support. They are island people — hardworking, dedicated and passionate about what they do. So what spurred the idea for Fork & Salad more than a year ago? Well, we felt that Maui residents and visitors had been craving healthy, farm-fresh food for a long time, but it just wasn’t as convenient as it could be for eating on a regular basis. So we opened our doors with this goal in mind, and now anyone can eat this way, any day, every day! Many people have made it a “healthy habit,” and we’re honored to be a positive part of their routine! This award is significant because it’s Maui voting about us. It tells us we started a great restaurant concept that fills a market niche, one that people enjoy, and one that supports the industry of agriculture and Maui’s small business economy. It’s also extra special to us because it’s the one award you can only win once!! If you haven’t tried this “Best New Restaurant” yet, expect chef-inspired salads, sandwiches, soups, and wraps, made with exceptional farm-fresh ingredients in three minutes or less. We feature five types of greens, six gluten-free proteins (including shrimp, Ahi, tofu and chicken! ), 11 dressings (also gluten-free!) and more than 50 salad ingredients. We also have a health-inspired beverage program with fresh juices, kombucha on draft, and ginger-turmeric shots. For us, expressing our thanks to the community is a fundamental belief we practice day in and day out. 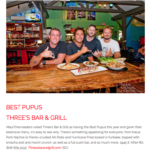 It started at our first restaurant, Three’s Bar & Grill (which, by the way, won “Best Pūpūs on Maui” for 2017…and will be featured on Food Network Friday, July 21!) and we do it because we honestly feel extremely grateful. With support from the Maui community, through our restaurants and catering services, we can in turn support our local economy, visitor base and Maui’s crucial agricultural industry. PreviousA Full First Year for Fork & Salad! NextFarm-to-Table Supporters Unite at Fork & Salad! 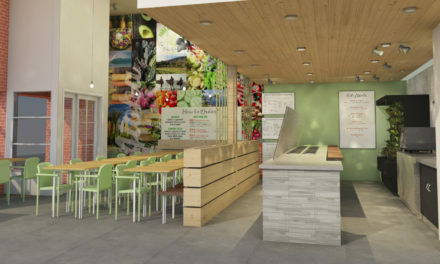 Fork & Salad, Coming Soon to California!! 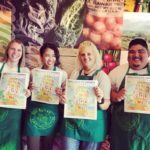 Join the Team at Fork & Salad! !